The data presented in this page come from the Generation 1998, 2004 and 2010 surveys. The data was collected from cohorts of people leaving the education system three years after leaving. The various surveys were made comparable and the final sample is ultimately made up of 63,177 individuals representative of 1,028,000 young people leaving higher education, 359,000 in 1998, 323,500 in 2004 and 345,500 in 2010. There has been a significant increase in the education level of young people entering the labour market in twenty years. But despite the overall downturn in access conditions to the labour market caused by the 2008 crisis, a qualification continues to provide protection from the risks of unemployment. Between 2001 and 2013, the unemployment rate of higher education leavers after two years in the workforce doubled. It settled at 13% in 2013 (table 23.01). This growth has been accompanied by a falling unemployment rate and rise in inactivity spurred by more students resuming their studies. The rise in the unemployment rate affected the Generation 2010 especially, who suffered the effects of a lasting situation exacerbated by the 2008 economic crisis. The proportion of the most qualified jobs increased (+6 points of managerial job) whilst the proportion of stable jobs held thanks to the rise in unwaged employment (table 23.02). Access conditions for young people leaving without a higher education qualification plummeted between 2001 and 2013: 23% of these active young people were unemployed three years after leaving the education system compared with 10% in 2001. By comparison with young graduates of higher education, they are also the largest group to resume studies and their number is growing (+13 points between the Generations 1998 and 2010). In addition, young people leaving without a qualification who are in employment after three years in the workforce enjoy less favourable integration conditions of all leavers. Apart from remuneration, these conditions worsened slightly over the generations, as shown by the increased share of part-time jobs (+9 points). At Bac + 2 level (excluding social healthcare), the unemployment rate at three years has also increased very significantly between the three generations (+9 points). Conversely, employment conditions for young people with jobs have remained relatively stable. In addition, the advantage of industrial specialisms in the labour market is sustained from one generation to the next. The differences seen between industrial and service specialisms have even widened between 2001 and 2013, whether they involve the unemployment rate, the share of stable jobs and the share of part-time employment. The structure of the level Bac + 3 changed radically between the Generations 1998 and 2010 with the introduction of vocational Bachelor degrees in 1999. The result was a growth in more moderate unemployment among the workforce at this degree level between 2001 and 2013 (+4 points) compared with other levels. Employment conditions for Bac + 3 holders were also more favourable during this period, especially the stable employment rate and monthly remuneration. However, the increase in unemployment accelerated between 2007 and 2013, mainly for the holders of a vocational Bachelor degree. The level Bac + 5 structure also changed considerably between the Generations 1998 and 2010 following the move to the Bachelor, Master’s, PhD cycle. The combined effects of the economic crisis and the increased number of graduates at this level were both responsible for the upsurge in the unemployment rate between the Generations 2004 and 2010, mainly for the Bac + 5 university graduates in the grouped specialisms of human and social sciences and business school graduates. Although the qualification level of jobs held was stable between 2001 and 2013, the share of stable jobs fell (-5 points), just like the median monthly remuneration (-210 euros). After three years in the workforce and despite the 2008 economic crisis, the unemployment rate of PhD graduates from Generation 2010 was 5%, lower than for Generation 2004 (-2 points). The share of managerial jobs held by employed PhD graduates remained stable and high; their median remuneration showed no signs of weakening and, for Generation 2010, was substantially above the salaries paid to Bac + 5 graduates. Nevertheless, the share of stable jobs that were traditionally lower than for Bac +5 graduates due to the distinctive feature of careers in research, dropped by eight points. Between Generations 2001 and 2013, and after three years in the workforce, the differences in median remuneration between the various higher education qualifications became blurred (chart 23.03). Levels Bac + 4 and above all Bac + 5 graduates no longer have as high a remuneration difference as in the past compared with other young graduates. Nevertheless, there was a rise in the median remuneration level for all qualifications between 2001 and 2013, which can be attributed to a structural effect, as the numbers of Bac + 5 graduates were proportionally greater. 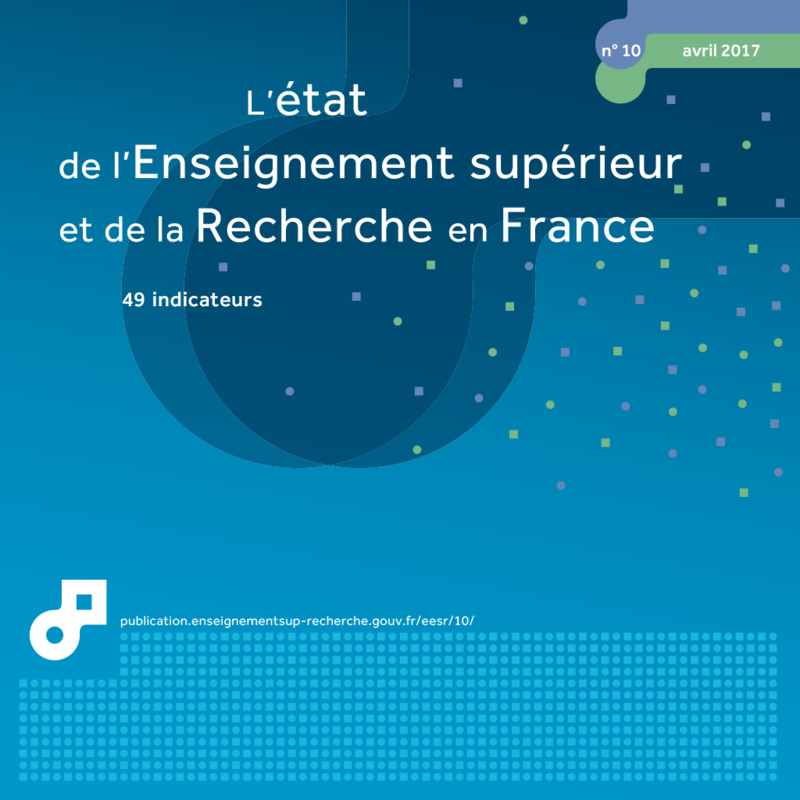 Extract from the chapter "23. evolution of the first 3 years' career experience of young people from Génération 1998 to Génération 2010". 1 In employment on a permanent contract, as a civil servant or a self-employed worker.